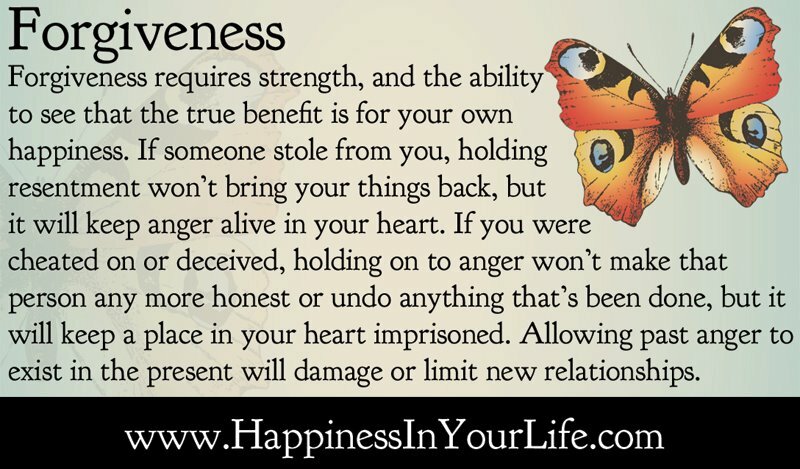 Forgiveness requires strength, and the ability to see that the true benefit is for your own happiness. If someone stole from you, holding resentment won't bring your things back, but it will keep anger alive in your heart. 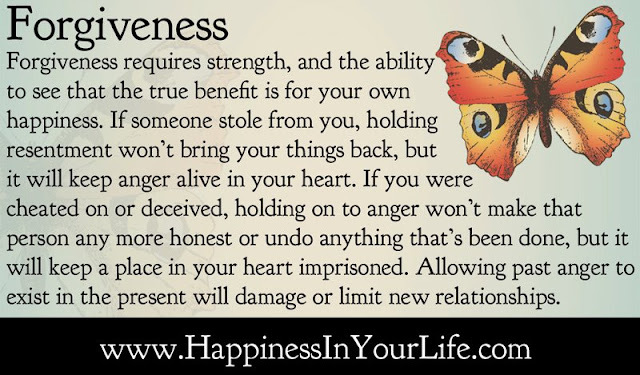 If you were cheated on or deceived, holding on to anger won't make that person any more honest or undo anything that's been done, but it will keep a place in your heart imprisoned. Allowing past anger to exist in the present will damage or limit new relationships.